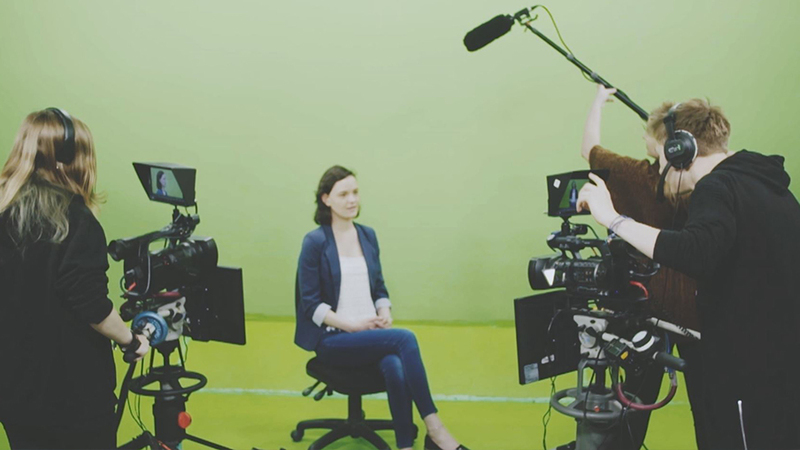 Over the last ten years, the Eye Film team have developed a varied training programme using our knowledge as professionals of the film and media industry. We’ll turn your team into a working film crew who understands what it takes to produce professional content. We train businesses, schools and individuals, helping them to produce films that tell their story and create content on a regular basis. Learn to make films that make you or your company stand out. We’ll teach you to film, edit and distribute, as well as lighting and interview techniques. You’ll learn how to plan and execute a professional film and make the most of a busy schedule. We offer courses over one, two or more days, ranging from an introduction to filming to full film and editing packages. Our trainers are all industry professionals and members of our team, who understand filming trends and technology. Because we can come to you and base the day around what you want to film, by the end of the training you will have produced a film you will want to use in the future. We like to keep our training groups small (a maximum of three delegates to one member of staff) so that we can give everyone individual attention – particularly where we have people with varying degrees of experience. We can discuss your requirements with you and can even run one to one training at your business/organisation. Equipment – We advise on camera, sound & lighting equipment. We can do this in advance so you have the right equipment. Planning – What sort of films do you want to make and how should you approach and plan these to make the most of your time and resources? Filming – How to use (and get the best from) your camera for video and sound. How to film varied film sequences to create professional footage. 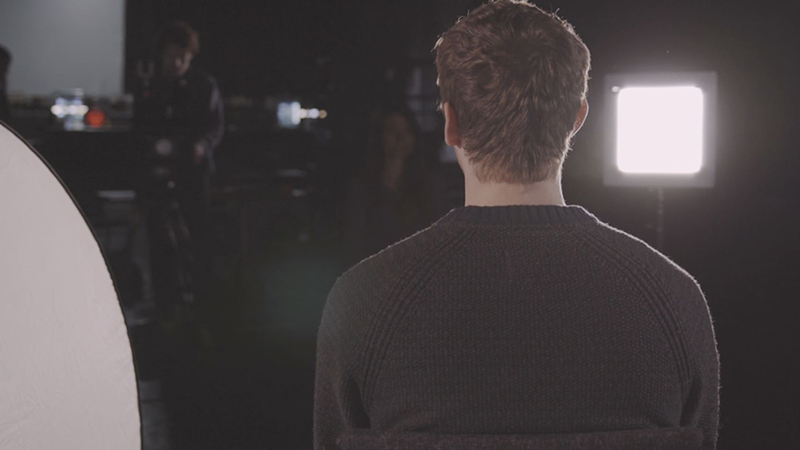 Interviews – How to set up, light and record sound for a professional interview. How to plan your questions and get the best from your interviewee. Editing – From organising footage, cutting interviews, to sequencing, giving footage a cinematic look and adding captions, effects and a soundtrack. Feedback and moving forward – We’ll offer you feedback on your finished film and stay in contact via email or phone to offer advice on future films. Consultation on equipment prior to training, introduction to filming, recording professional sound & setting up interviews/interview techniques. Time to film interviews & additional footage & an afternoon on editing basics, cutting interviews & adding captions & sound. Consultation on equipment prior to training, planning your shoot, finding & making the most of your business’s story. Understanding your camera & getting the best from your equipment. How to plan, set up & light an interview & get the best results from your subject, shooting additional footage/audio to create engaging sequences. Day 2: editing techniques, cutting interviews, colouring footage, adding titles & animating your logo & how to export & upload your film. (You will need to arrive with the relevant footage for a 1-2 minute film, ready to edit). 1 day interview masterclass using continuous lighting, 1 day advanced editing, covering editing, colour grading & sound design in detail. 2 day, one-on-one masterclass, including working with our trainer as a 2 person crew to film your interviews & additional footage. 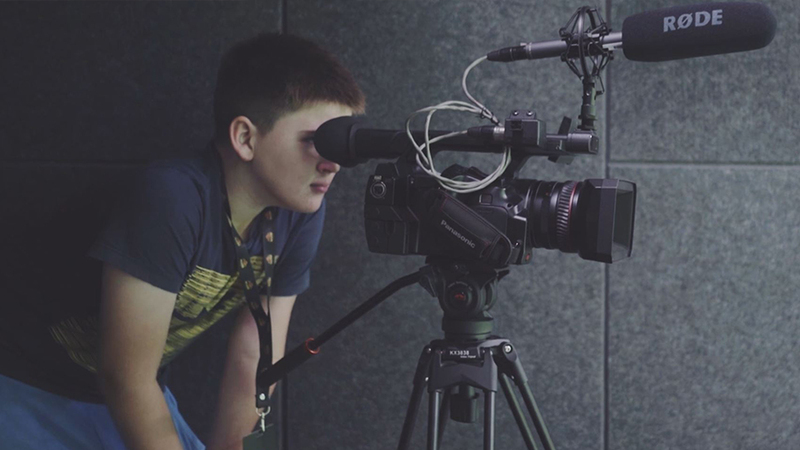 A workshop to get you started, capturing students imaginations about the potential of film making or for staff to begin to document the schools activities. Introduction to filming, recording professional sound, setting up interviews & interview techniques. Time to film interviews/additional footage & an afternoon on editing basics, cutting interviews & adding captions/sound. Consultation on equipment prior to training, planning your shoot, finding & making the most of your school’s story. Effective workflows & storage of your footage, understanding your software, cutting interviews quickly/effectively. How to make a boring interviews engaging, adding additional footage, creating smooth transitions, adding/animating captions, grading your footage, adding titles & exporting/sharing. You will need unedited footage to work on during this workshop. We’re happy to design a bespoke training course for your school. This can range from an afternoon trouble shooting issues with equipment and giving some quick tips to improve on, to long term partnerships. We have helped marketing teams over a year or longer by coming to the school to work with them, editing footage remotely & offering tutoring via email & phone. We have produced school films as a training project where the students have become the film crew. Feel free to challenge us. A great opportunity to get a good understanding of the production process & tackling issues that may arise from filming on your own. Pre Day 1: Consultation on equipment prior to training. Introduction to filming, recording professional sound, planning, lighting & conducting an interview. The afternoon will is spent on editing basics, cutting interviews, adding captions & sound. Prior to Day 1: Consultation on equipment, planning for your story. Day 1: Filming & interview techniques, how to get most from your camera & including planning & lighting. Day 2: Editing & working with your trainer to understand cutting interviews, adding additional footage, captions, colour grading & sound design. An intensive editing course to give you an overview of the editing software, ready to export finished films by the end of the day. Effective workflows & storage of your footage & a good understanding of your software. Cutting interviews, quickly & effectively & how to make an interview engaging. Adding additional footage & creating smooth transitions & adding/animating captions. An introduction to colouring your footage & how to add titles & exporting/sharing. 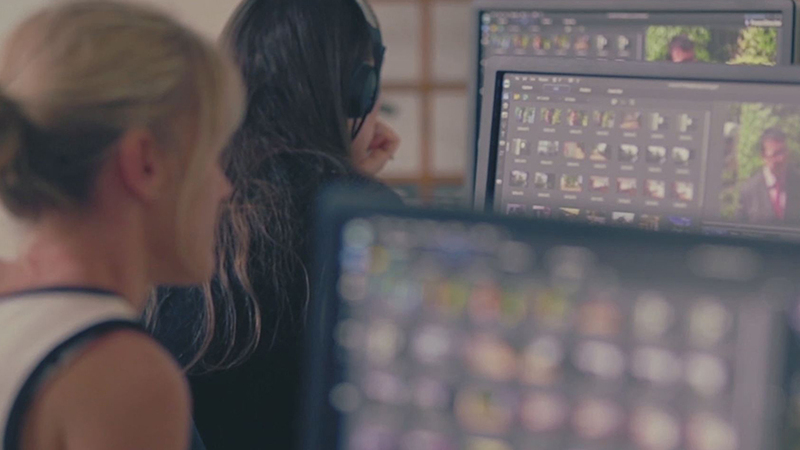 Within our team we have a wealth of knowledge on filming, editing, colour grading and sound design and we are happy to put together a training plan to meet your individual needs. This can vary, depending on your level of experience and what you want to achieve. If your just getting started we recommend the two day course, with day one focusing on filming, sound and lighting and day two learning editing skills. However, if you feel that you may only need one day’s training, then we can have a chat through your current experience and put together a bespoke plans, or it may be that a single day editing is all you need. Each day usually starts at 9.30am and finishes at 4.30pm with a break for lunch. How many people can be trained on a course? We keep our training groups small (normally a maximum of six delegates with two members of staff) so that we can give everyone individual attention – particularly where we have people with varying degrees of experience. We can discuss your requirements with you and can even run one to one training at your business/organisation. What equipment or facilities will you need? We would need a room with desks/plug points for you to work on laptops editing and it would be great to have enough space to have cameras/tripods to work with. The training works best when you have a subject matter in mind to film, so if you can prepare someone or a group within your company/school that they will be filmed and one or two may be interviewed, then you will benefit much more from the day. For 2 people or more, our courses start at £300 per day, per delegate + VAT. For larger groups or one on one training please contact us to discuss your options. Yes, ideally you will have the equipment you intend to make future projects on. We have trained people on everything from professional cameras to camera phones, but we generally suggest a modern Digital SLR type camera as a good starting point for quality and price. We offer advice on equipment as part of the training package, so drop us an email for further advice. What software do we need? We train people on Adobe Premiere Elements for our introductory courses and Adobe Premiere Pro for our advanced courses. If you are interested in using other software please contact us to discuss options. I'm interested in training, what should I do? Have a look at the packages above to get an idea of the range of courses on offer. Fill in the booking enquiry form and a member of our team will contact you to find out more and let you know your options. All our courses are planned around the individual or groups requirements, we’ll come up with a training plan factoring in your requirements and budget and (if necessary) supply you with an equipment list. We usually come to you for the training days, if your an individual we can discuss what location would be best for you to get the most out of the training sessions. If you’ve opted for a number of days training, we will generally stagger these by a week or more to allow you to capture additional footage using your new knowledge.